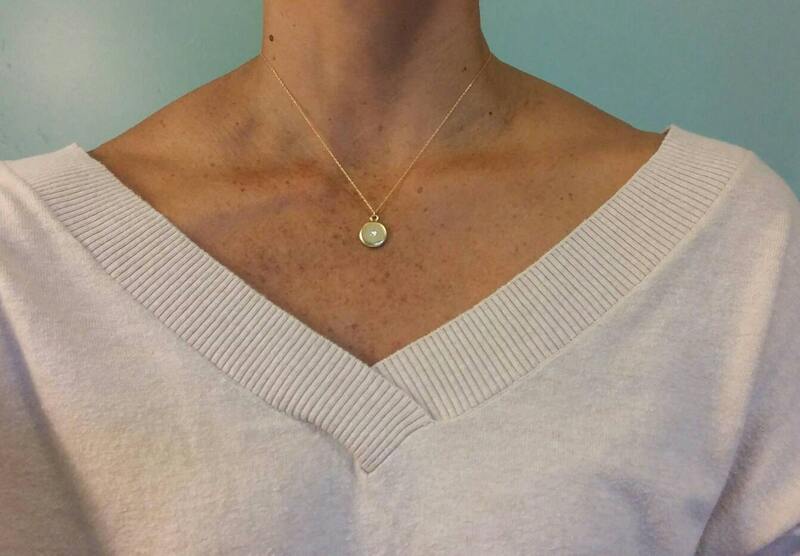 This small matte gold necklace is perfect for dressing up or down! 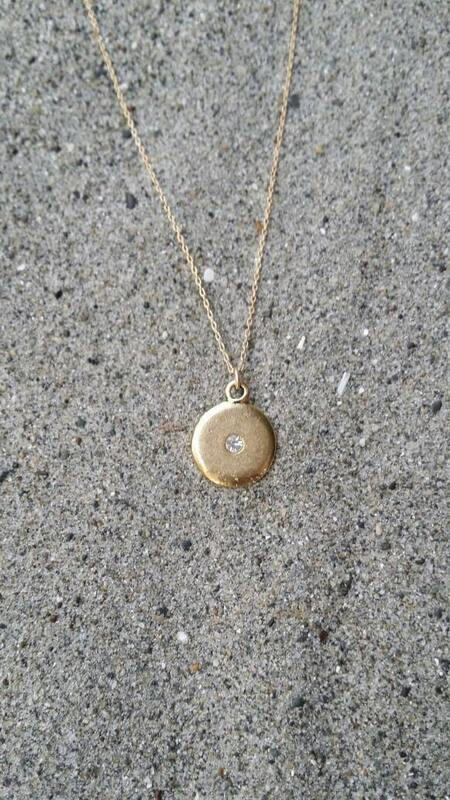 The 12mm round gold plated charm is accented with a tiny crystal center to give a modern classic look. 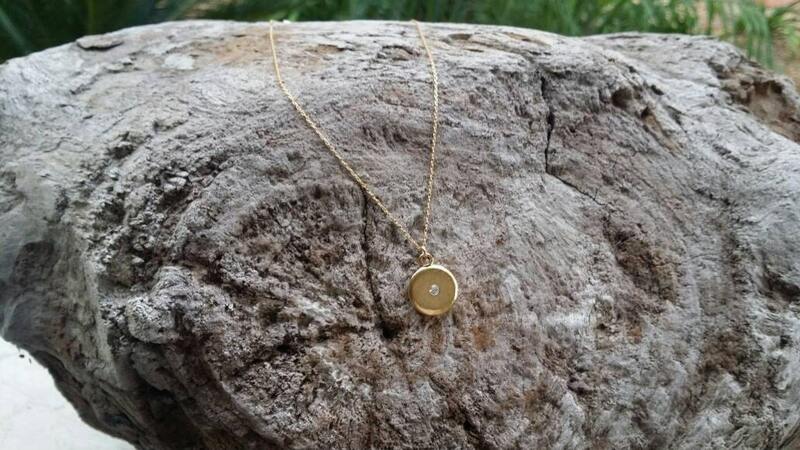 It hangs from a high quality gold fill chain with gold fill clasp. It is shown here in 17". It is also available in silver. All items are gift wrapped and shipped without an invoice unless otherwise requested. Please let me know if you would like me to enclose a small card with a message and I will happily do so free of charge! All items are handmade and I guarantee the workmanship and quality of all my products. I guarantee against any tarnishing or breakage of the chain and clasp for one year. 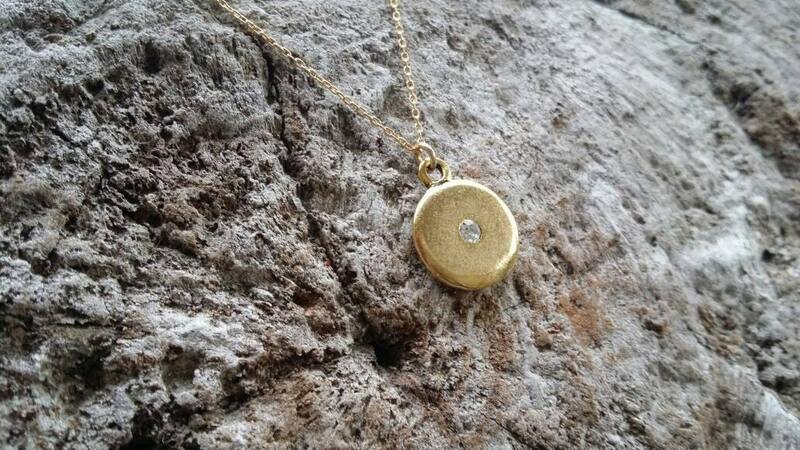 However, as the Pendant of this necklace is gold plated, it does not qualify for the one year guarantee. Please see my terms and conditions for information on how to request a replacement or repair. Love love love. Just what I was looking for. Great necklace. I gave it as a gift for my Mom and she loves it! Thanks so much! So far so good! Love it. Love it and fits perfectly. Simple elegance.